Some few weeks ago, my sister asked if I would be interested to attend some food demo organised by Food & Travel magazine in Kitchen Culture. Seeing that it cost only $25/- and include some very healthy goodie bag items, without hesitation, I told her I want to sign up. For the sake of the goodie bag, she also signed up together with her colleagues, even though she is not into cooking or baking! :p So she signed up on my behalf. So today was "D DAY"! 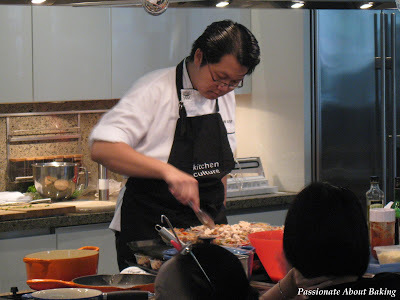 The venue was held in Kitchen Culture at Thye Hong Centre. The place sells VERY expensive kitchen cabinets and kitchen tools. I won't have stepped into it if not for this cooking demo. 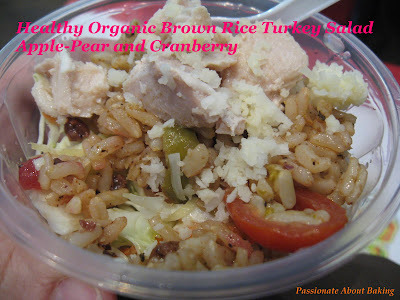 Today's session is called "Festive Family Fusion", using mostly brown rice and olive oil from Naturel. Isn't that healthy? 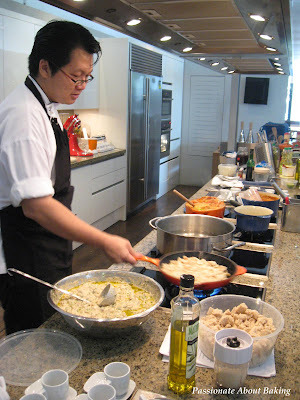 The demo was conducted by Chef John See. A regular chef at Kitchen Culture. He used to have a restaurant, but I think he no longer owns a restaurant now, he is free-lancing and teaching cooking & baking as his passion. This was my favourite! It tasted like lobster bisque, but so much more flavourful!! 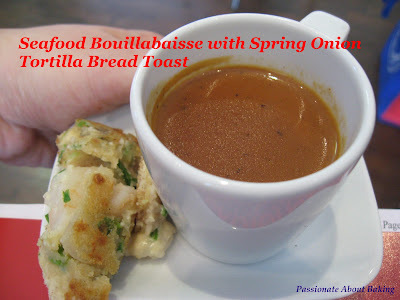 The tortilla bread toast went very well with the soup! Yummy!! 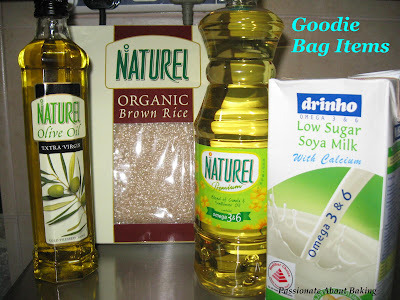 Not forgetting what I got for my goodie bag- 2kg organic brown rice, 500ml Olive Oil (Cold pressed), 1kg Canola & Sunflower oil and 1L Low Sugar Soya Milk. Very worth the price paid for - $25! After the demo session, my brother-in-law dropped me off at HV. Without delay, I popped into Shermay's Cooking School to buy my Rose Water! Yippee! 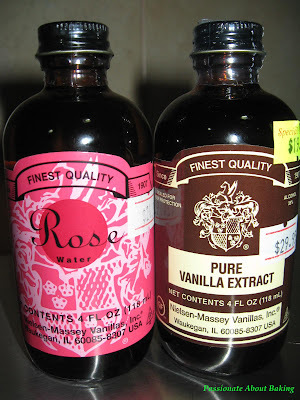 And of course, I picked up the vanilla extract again since it was cheaper by $10! Really worth the buys! :) What a fun Saturday, without baking for once! Can't wait to read your healthy recipe by using all those healthy ingredients. hey Jane, I used to teach at Kitchen Culture too. 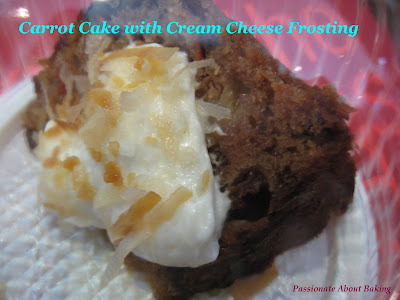 If John See teaches Petit Fours, must go and learn..his cakes are delicious! I last taught there in June 2007. Asian Seafood with a group of Australians. :) I love the Global knives there. You left that place for quite a while already is it? Jane, you see me so 'high'. I am not the director lah. just in charge of all cooking/baking classes when I was at FT magazine. I left in October 2006 to care for my sick mom. She had cancer. and went for op in November 2006. I was the director for another company called Cuisine Asia together with Pauline D Loh who was the MD of the FT mag. I left Cuisine Asia last November to register KC as a biz entity. All these years, KC run as a hobby passion forum only. :) I have John See's contacts. In fact, Kitchen Culture ask me to do some classes with them next year. I need to plan first...Coz Mayer also ask me..very boh eng! Oops! Then I must've seen your name in Cuisine Asia lah! 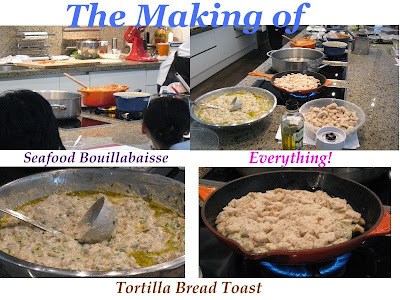 :p Hey, when you teach at Kitchen Culture, keep me in your mailing list! I like that environment even though it's VERY CRAMP! Looks like Chef John might not be doing Petit Fours leh...he didn't mention.